The variety of Tomorrow's Adults programs were all created by Andy Mars, Ph.D. His passion is for "helping make a difference in the lives of kids and for helping kids make a difference in life." 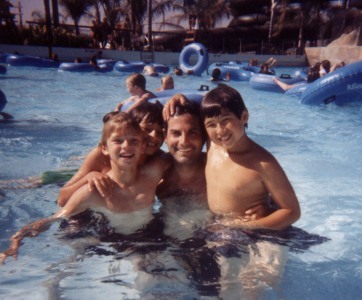 After years of directing the camps of others, Dr. Mars created camps to provide that which he believed could offer so much more to the best growth of each individual child. 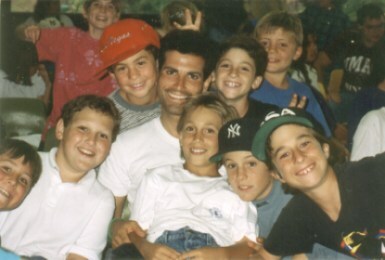 In 1994, he began Camp Exploration spring, summer, and winter programs. Professionally respected for his vision and success, Dr. Mars has regularly been asked to speak to other camp directors at the American Camping Association and other conferences. At national conferences, he has spoken on: "Values & Camping," "Competition vs. Cooperation," "Optimally Selecting & Training Staff," "Accomodating Differences," and "Engaging Kids in Making a Difference." Beyond his impressive reputation in the world of organized camping, Dr. Mars is even more so a respected visionary leader in the world of education. He has spoken at local and national conferences for teachers and principals on a variety of topics. For almost two decades, Dr. Mars has been consulting to numerous schools across the Los Angeles area. He has been troubleshooting problems in employee-employer relations, providing staff development, coordinating parent education, addressing student issues, accommodating learning differences, enhancing teaching strategies, etc. He has also actively done individualized tutoring, aiding those in need of remedial assistance and challenging those in need of further enrichment. He has been counseling individual students and parents on a variety of school and learning related issues. Prior to developing his own programs, Dr. Mars directed a boarding school, chaired a department at a preparatory school, and taught in an inner-city public school. He earned his Ph.D. in Education with foci on Learning Differences and Teaching Strategies as well as his Masters of Arts in Teaching with foci on Critical Thinking and Applied Ethics. He also earned a degree in Systems Analysis and Engineering and a degree in Management Decision Systems. Before entering the world of education, he worked in the corporate world as a Management Consultant. He has served on the Board of Trustees of the American Cancer Society and continues to serve on the Board of Trustees of the American Vegan Society, the Earth Harmony Foundation, and the Childrens Arts Trust. He was a founding member of the Physicians Committee for Responsible Medicine and of Earth Save and continues to volunteer with both of these organizations. In addition to helping students and schools, Dr. Mars is available to help parents as well. For years, he has provided Parent Education sessions to the parents of specific schools and also offered private consulting to parents. He is delighted to now be able to offer the Free Parent Education Series to any parents in the community which has provided him space for these free educational opportunities.